I’m pretty sure most understand the need for antenna distribution when using multiple wireless microphone receivers. Put simply, distros reduce the need for multiple antennas and simplify the installation of wireless mics. Antenna Farms are never a best practice as multiple antennas steal power from each other and can unintentionally form antenna arrays which can lead to unpredictable performance. There seems to be some confusion when constructing larger systems as how to best combine multiple distros to accommodate a large number of receivers. 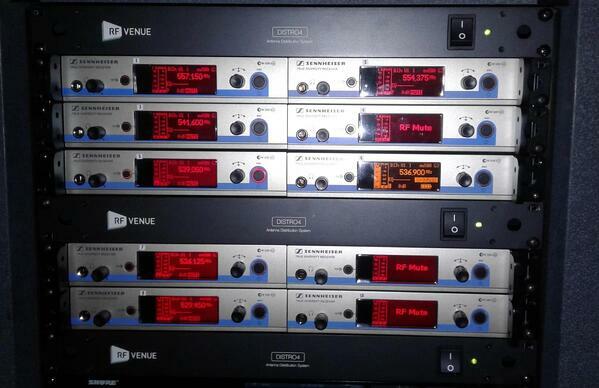 RF Venue was one of the first manufacturers to include a fifth antenna output, titled “cascade” just for that reason. 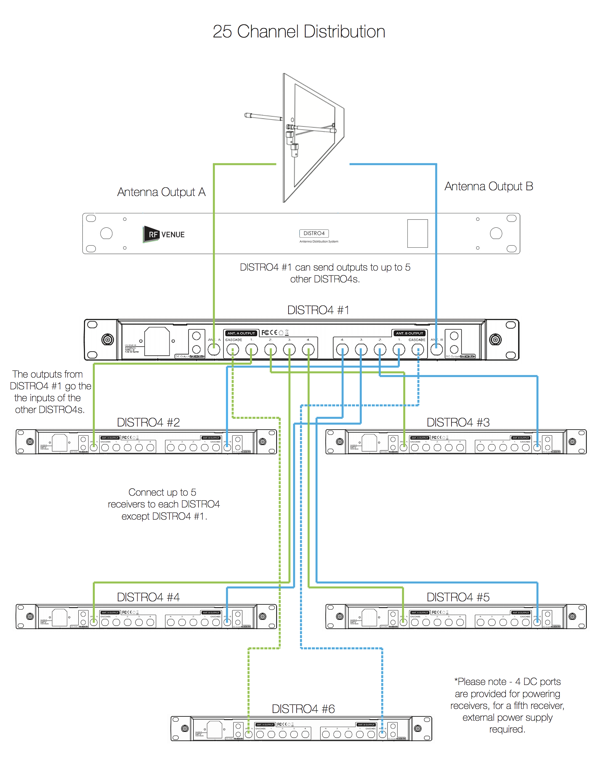 So in the case of using a pair of Distro4s you simply run coax jumpers from the cascade outputs to the antenna inputs of the second distro thereby creating an 8 channel system (actually 9 channels when using Distro4s). OK, I get it … I just keep stringing from the cascade outputs to the next distro’s inputs create even larger systems, right? Well yes and no. There are some limitations to keep in mind. Since no piece of electronic gear is perfect, some small amount of signal degradation takes place every time you pass through additional cascaded units. If you are old enough to remember making copies of cassette tapes or VHS videos you’ll remember this as “generation” loss (although probably a much bigger loss than cascading through antenna distros … but you get the picture). And since we are talking about RF signals here there will inevitably be some IMD component added as well. So sooner or later the signal in the later ends of the serial chain will lose integrity and become unreadable by the receivers. Allow me to propose a parallel method (as opposed to serial) when combining three or more distros. 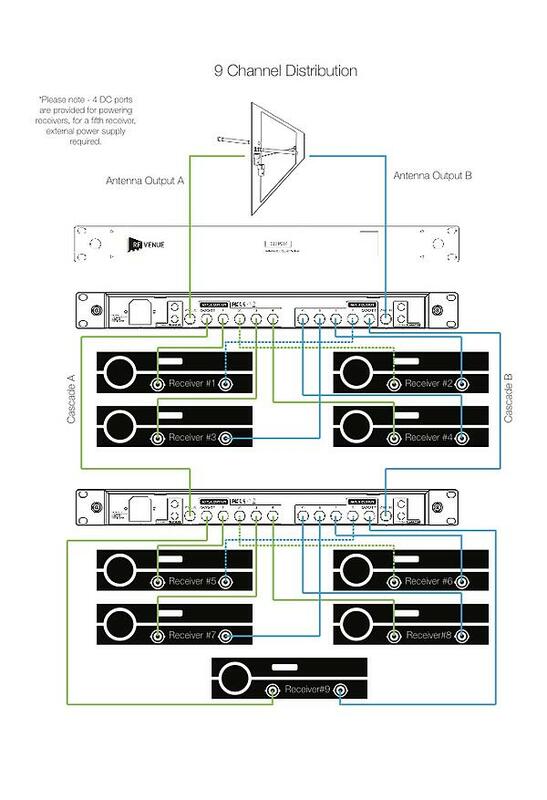 Looking at the diagram you can see that one distro is being used as a master and feeding up to 5 additional distros for a maximum of 25 channels. Using this method (parallel connections) no distro is past second generation (compared to the last 2 units being 3rd and 4th generation respectively if traditional serial cascade methods were employed. Also note that there is no decrease in channel count using this method and no additional coax cables needed. This method will give superior performance using 3,4,5,or 6 combined distros depending how many receivers you need to connect. 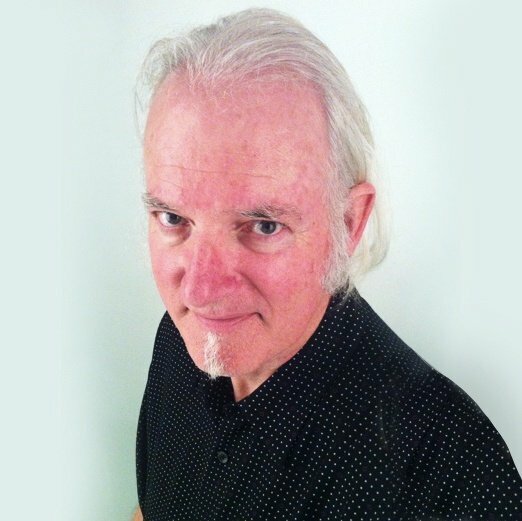 Still confused about setting up multi-channel wireless mic systems? Feel free to Contact Us for help.